Kathy Bergen has spent the past 35 years working for a just peace between Palestinians and Israelis in a variety of capacities—with MCC in Jerusalem for 8 years and with OCSD in Jerusalem for one year, as the director of ICCP in Geneva for three years, as the National Peace Education Coordinator with AFSC in Philadelphia for 12 years, as the program director in Ramallah for 7 years. Kathy was a co-founder of the US Campaign and FOSNA (Friends of Sabeel/North America). She believes that Palestinians and Israelis must find a way to share the land and live together as equals. She has led several educational tours to Israel/Palestine, both when she lived in Palestine and now that she is living back in Canada. She has travelled extensively in the Middle East, Africa, Europe, Asia, and South America and written and spoken on the Israeli/Palestinian issues in the Canada, US, and Europe. Get a different view of the Holy Land as you hear the stories and visit significant sites connected to women in the Bible. Reflect on the life of Jesus in places where he lived and taught. Visit with staff from NGOs working for peace including Women’s Coalition for Peace, the Nazareth Women’s Centre, Sabeel, Palestinian Conflict Transformation Centre and Christian Peacemaker Teams. 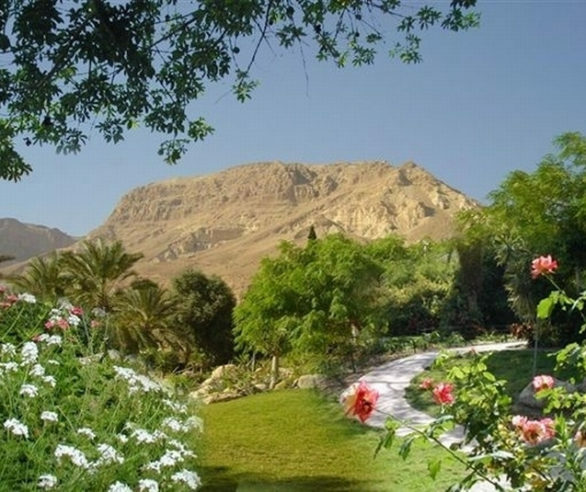 Also enjoy the natural beauty of the land at the Banias Nature Reserve and the oasis of En Gedi. Optional extension in Ramallah, West Bank.